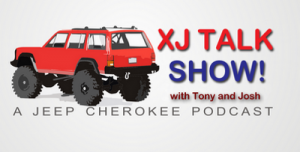 Exclusively GM & Jeep – We Do the Pullin’! 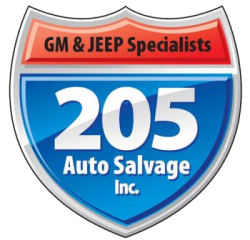 Offering quality used GM parts since 1973, 205 Auto Salvage added Jeep to the inventory in 2010, and now has one of the largest selections of used Jeep parts in the NW. Wrecked or unwanted GM or Jeep? Top $$ paid for GM & Jeep trucks & cars. We would love to answer any questions you might have. Click below to get in touch. Sourcing quality auto parts is vital to our auto repair facility … John at 205 provided a used cylinder head in excellent condition and had it shipped quickly so we could install it the next day. Courteous, knowledgeable and fair. We will buy parts from them. Y’all went above and beyond, tracked down exactly what I needed, swapped some pieces over from the core, set it gently in the bed of my truck. I didn’t even get my hands dirty. Highly recommended to all my GM & Jeep friends.